"President Obama should invite Punxsutawney Phil onto his staff in order to keep the groundhog theme going"
It could be 1993 with a 47-year old Bill Clinton counting the cost of a bad first year in the White House. Or 2010 with a 48-year old Barack Obama doing much the same. But don't be surprised by the uncanny coincidences of history. It was Groundhog Day after all. 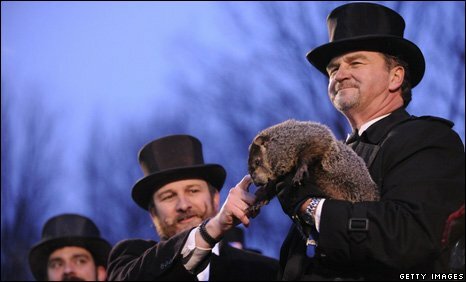 President Obama should invite Punxsutawney Phil onto his staff in order to keep the groundhog theme going. 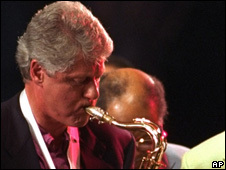 Bill Clinton may have tanked in his first year. His healthcare plans were thwarted by his own Democrats as much as Republicans and he was routed by the GOP's landslide at the 1994 mid-term elections. America may have voted for change but it shuns its implementation - especially the radical variety - like one of those sticky Toyota gas pedals. 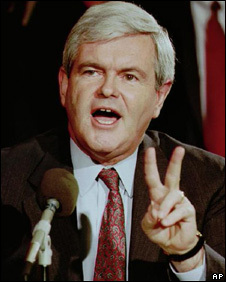 But an exuberant Newt Gingrich overreached himself. The Contract with America sounded good but turned out to be a dodgy deal and Bill Clinton discovered the darkish arts of triangulation. His re-election against Bob Dole in 1996 was a cakewalk. President Obama seems to be taking a hint from history. His presidency is turning out to be a masterclass in triangulation: he was against the Iraq war but he has beefed up the war in Afghanistan. He offered Iran an open hand for an unclenched fist and has now sent more warships to the Gulf. He proffered fundamental healthcare reform but then did a deal with the medical insurance companies that brought a lot of his "liberal" base out in a skin rash. In this week's budget, he has frozen spending but hurled another $100bn at job creation. He bailed out the banks and then called them fat cats. And, yes, even his ethnicity triangulates. As the African-American comedian Wanda Sykes put it at last year's White House Correspondents' Dinner: "If he screws up, we're gonna call him half-white." Bill Clinton was the magician and Tony Blair his best understudy. Triangulation was the tactic. The Third Way was the strategy. These days no-one talks about either very much. But Barack Obama is the very embodiment of both. It appeals to his elegant intellect and allows him to indulge in nuance. It also chimes with him emotionally. The current president is a man whose quiet self-confidence is the result of having always triumphed as the outsider. Growing up in Indonesia or Hawaii, studying at Harvard and then breaking into the snake pit of Chicago politics, Obama was always the talented misfit. He used his gifts to make friends and disarm enemies. As the lanky fellow with the unusual name, he never took anyone's support for granted and rejected any notion of entitlement at a time when the country was thoroughly sick of the elite that had ruled in its name. And so it was that Obama seduced this country. We saw a reminder of Obama the candidate in his State of the Union speech last week. Like all good presidential speeches it reminded the audience of America's flawed promise. As the usually raucous ranks were reduced to a hush, hanging on words delivered with the cadence of a preacher, there must have been a few Republicans who wondered if they should delay their run for the White House by another four years. Barack Obama remains a formidable candidate, but he still needs to prove that he can become a formidable president. Many commentators have suggested in recent weeks that he is too cerebral for these angry times and that his cool can come across as aloof. That may be so. But the biggest trap he can fall into is to join the scrum. He will never be able to satisfy the liberal foot soldiers in his own ranks or the Braveheart warriors of the Tea Party movement. Despite its rage, America remains a middle-of-the-road country that was founded on revolutionary ideals but constantly seeks the reassurance of conservatism. A chastened President Obama should carry on triangulating, making deals, rejecting ideology and govern from the centre, but couch his complex method into a simpler message. there's plenty of material to work with. What this presidency needs is a punch line. 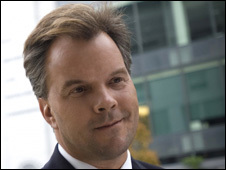 Matt Frei is the presenter of BBC World News America which airs every weekday on BBC News, BBC World News and BBC America (for viewers outside the UK only). And you can hear Matt present Americana on BBC Radio 4 and the BBC World Service every week.